The music album Songworks – A Kiss For The Petals Complete Album and the extra track Cute Generation are now available for download on Gyutto.com. Gyutto is one of the few Japanese online stores that accepts orders made with international credit cards. Though the website is in Japanese, automated Google translation will be sufficient to guide you through the ordering process. Users of Google Chrome can right-click on the page to translate it to their own language, but Firefox users can download an add-on such as S3.Google Translate for the same functionality. The Google Translate website may not work properly due to the age verification cookie required to access the product pages. Originally released on 11 February 2015, Songworks includes opening and ending themes from visual novels published by Yurin Yurin, tracks from previous singles published by Yurin Yurin, and a recording of a live session by Anzu Hana at Girls Love Festival 11. The track Cute Generation is an arrangement of the opening theme of The New Generation performed by Anzu Hana and Izumi Ayaka. It was originally included in the expanded release Songworks Extra, released on 18 December 2015, which included the original album and a second disc containing the track. It is available as a separate purchase on Gyutto. Also available at Gyutto is The New Generation Opening Theme Single. Find it and other music CD releases by St. Michael Girls’ School on Gyutto.com here. A list of A Kiss For The Petals products available for sale to international buyers is maintained at the Buying Guide on this site. This article was originally published on 31 December 2016 at 10:21 PM EST. St. Michael Girls’ School announced a music album titled Party Time! in commemoration of the 10th anniversary of A Kiss For The Petals on 26 December 2016. Advance sales began at Comiket 91 from 29-31 December 2016, and general release is scheduled for 22 February 2017. An fluffy blanket with the cover artwork is also available as a companion piece. The album consists of opening and ending themes, a new song featuring most of the core cast, and spoken tracks by Manazuru Kou, voice of Houraisen Rena, regarding the radio shows Reo-ppoi Radio and Yuricycle Radio. A video promoting the album, featuring the track “Thanks To You ~Love Is All Days!~”, includes greetings by the cast of Snow White’s Knight. However, Takako is absent, as her voice actress, Azuma Yui, retired from voice acting on 31 December 2015. 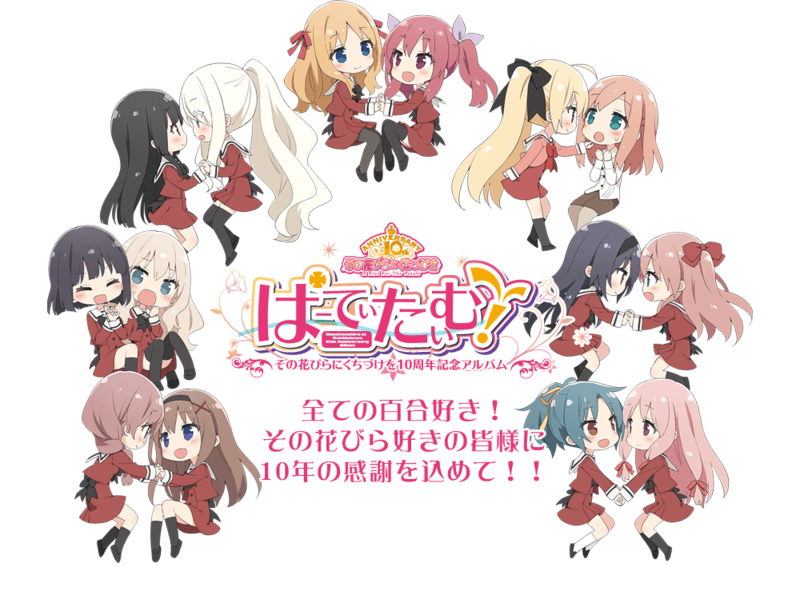 Update 30 January 2017: An image of the front and back cover art was published by St. Michael Girls’ School, showing the casts of The New Generation and the Angel series on the reverse in chibi form. 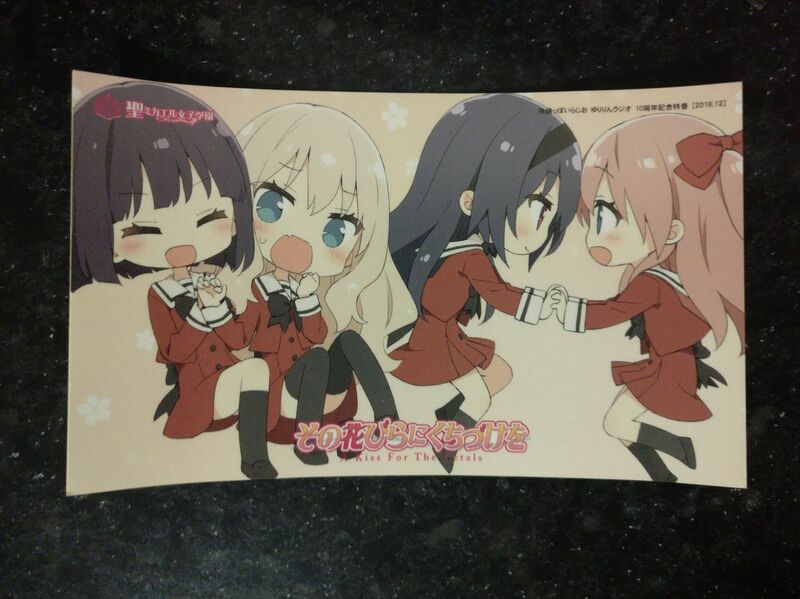 Customers who purchased an advance copy from Comiket 91 without this cover are invited to contact [email protected] with a photograph of their disc and a shipping address to receive one free of charge. The album and blanket will be available for purchase at Fancy Frontier 29 and JAM Akihabara. In the event that the album and blanket sell out at these events, prior to the general release, a solo performance of “Thanks To You ~Love Is All Days!~” by Manazuru Kou as Houraisen Rena will be released. Soup Curry Kamui posted an image in the style of the Bikkuriman foil stickers to promote their event, which will be available in limited supply as a free gift to customers. The sticker name is the cafe, Soup Curry Kamui. Following this, St. Michael Girls’ School published a flyer advertising the menu and location. The product announcement page and video were translated by Ralen. The video was transcribed by Kuma Ichigo, and was encoded, edited, typeset, and timed by me. On 16 December 2016, Reo-ppoi Radio and Yuricycle Radio resumed from a nine-month hiatus for a special live program on Nicovideo in celebration of the 10th anniversary of A Kiss For The Petals. The two shows broadcast back-to-back for one hour each starting at 7 AM EST. St. Michael Girls’ School uploaded recordings of the shows on YouTube one week after on 23 December. Reo-ppoi Radio was hosted by Anzu Hana and Izumi Ayaka. During this broadcast, Party Time! was revealed, with the formal announcement including tracklist following three days later. I submitted a letter to this show promoting The New Generation, which was translated to Japanese by Kuma Ichigo. ごきげんよう、Anzu Hana-san. It is Craig Donson once again. As you have heard, その花びらにくちづけを　にゅーじぇね！ English version was finally released last week to glowing reviews. I had the honor of announcing it myself at Otakon this August, and the audience there treated me kindly even as I had less than a day to prepare. The team I worked with enjoyed producing it very much, and we look forward to bringing even more その花 across the world. Please wish us luck, and welcome back to the radio. At 17:07 of the above recording, the letter was read. The following is a transcription of Anzu and Izumi’s reading of this letter and their response, translated by Kuma Ichigo and Ralen. Izumi Ayaka: It’s been a while since we heard from this one too. Hana: YEAHHHHHHH! It’s been so long! Ayaka: It’s from Mr. Craig Donson. Hana: I say it’s been so long, but it’s only been 10 months. Ayaka: Yes, it’s actually Craig. Ayaka: “As you have heard, the English version of A Kiss For The Petals – The New Generation! was finally released last week to glowing reviews. Hana: His career is really moving forward. What’s been happening? I haven’t been keeping up. Ayaka: He had been a fan though. Ayaka: An English version (英語化 eigoka). Hana: Oh, an English version. Ayaka: Sorry. It’s not a live action version. Hana: Ah, I was surprised for a second. Ayaka: After this is in English, so I can’t read it. Hana: It’s okay. Wow, it’s been a while! Hana: He is spreading Sonohana all over the world. Ayaka: When it’s English, it’s immediately broader. Hana: Then, it is possible that they will release the “cute” (old) generations’ adaptations, right? Hana: The “cute” generations remember how they met too! They each have their own backstory. Hana: Each couple has their own “Remembering How We Met“. Ayaka: Yes, yes. I think it’d be good if they have more and more releases. “Cute Generations” refers to the couples in previous titles, in contrast to The New Generation, and a track in Songworks Extra of that name, an arrangement of the theme song of The New Generation performed by Anzu Hana and Izumi Ayaka as Reo and Mai. 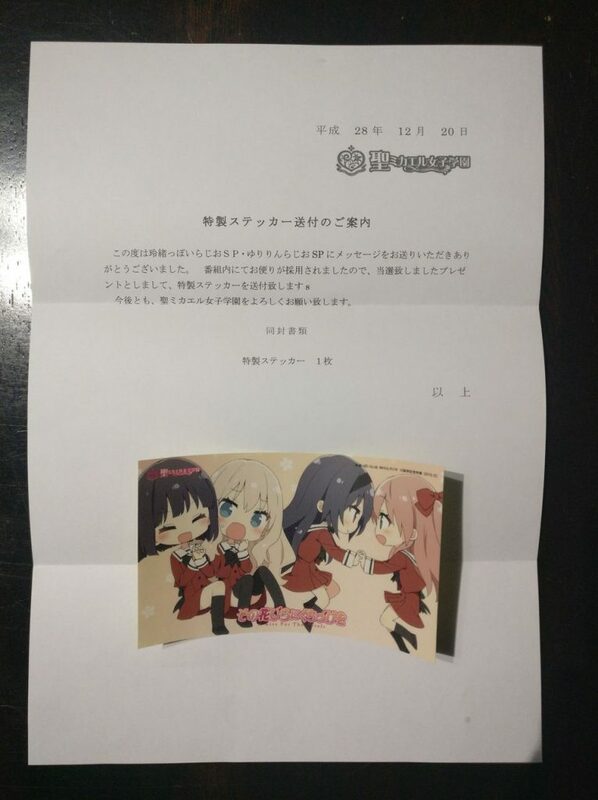 For my contribution to the show, I received a letter of gratitude and a sticker featuring Mai, Reo, Risa, and Miya. Click on the images to enlarge. Yuricycle Radio followed immediately after, but I have little information on it as I was unable to watch it live. Product announcement for the drama CD A Kiss For The Petals – Making Up Like Never Before (かつてない仲なおり Katsutenai Naka Naori) translated by Ralen. Mai has been making her usual commute to Reo’s house, but their stubbornness leads them to a huge fight. Mai and Reo should be full of frisky, romantic yuri goodness. What will become of them?! Following the release of St. Michael’s Music Academy + Side Story, Marking (Twitter: @mkdu_music) has announced a follow-up album, St. Michael’s Music Academy ~Sunset Story~ for release in 2017. Previously teased in the weeks leading to the launch of the St. Michael’s Music Academy + Side Story, the only information available is the above video and a tease of it being Marking’s largest project to date. St. Michael’s Music Academy + Side Story, Marking’s most current release, is available now at Bandcamp. St. Michael’s Music Academy + Side Story, a compilation of remixes of A Kiss For The Petals music, has been released today by Marking (Twitter: @mkdu_music) on Bandcamp. The compilation includes re-releases of St. Michael’s Music Academy (originally released on 21 August 2011) and St. Michael’s Music Academy ~ Side Story (originally released on 8 April 2012), and a third disc titled “+” with new tracks, artist commentary, and fan artwork. Each disc is offered on a name-your-price basis with previews available for all tracks. St. Michael’s Music Academy + Side Story was released in commemoration of five years since the initial release of St. Michael’s Music Academy and the 10th anniversary of A Kiss For The Petals. Additionally, the descriptions for the first two discs are reviews I wrote for them on Petals’ Garden on their initial releases. 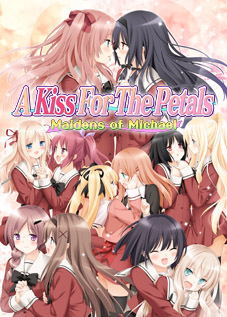 The track titled “Time in the Garden” on the + disc was created for an artwork and music anthology of A Kiss For The Petals fanworks titled Sonohana Fan Illustrations, which was sold at Girls Love Festival 9 on 26 May 2013. 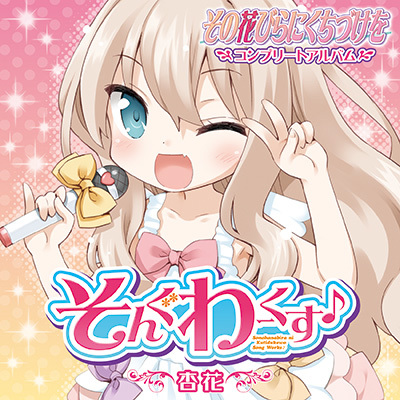 Marking was approached by Kamibukuro Works to produce a track for the anthology, which was exclusive to it until this release. See the previous post on this album for more information. St. Michael’s Music Academy + Side Story is available now at Bandcamp. Marking (Twitter: @mkdu_music) has announced a re-release of St. Michael’s Music Academy + Side Story, a compilation of remixes of A Kiss For The Petals music. Originally released on 21 August 2011, this expanded version includes the original St. Michael’s Music Academy album, the added Side Story tracks (first released on 8 April 2012), and new content. The re-release is scheduled for 25 November 2016, five years after the initial release and in observance of the 10th anniversary of A Kiss For The Petals. The cover artwork by snowrinn (Twitter: @snowrinn) was published on 14 November 2016. The album will be distributed on a name-your-price basis. Listeners will be able to pay any amount they choose, or none at all. Update 18 November 2016: In an effort to allow fans to support the artists and obtain early access to the album, pre-orders are available for each disc. The minimum price is $1.00 for each disc, though the album will still be available at any price, including for free, on the release date of 25 November. Two tracks from each disc are available for preview in full. Additionally, the descriptions for the first two discs are reviews I wrote for them on Petals’ Garden on their initial releases. Also announced is a new album scheduled for 2017. Aside from a blurred image of the cover, no other information was provided. On 13 November 2016, samples of all three discs were published on SoundCloud. They are embedded below. The first is a sample of disc 1, and the second is a sample of discs 2 and 3. 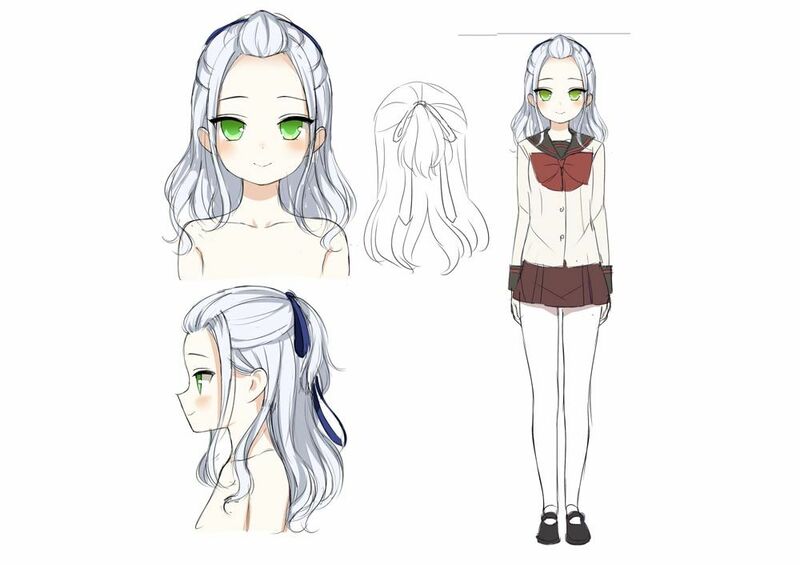 On 28 October 2016, A Kiss For The Petals series producer Mi Kara Deta Saba wrote an article for the Getchu blog detailing the most recent visual novel and drama CD releases, products aimed at smart device users with limited access to a computer, and a first look at new characters for yet unnamed future products. It has been translated by Ralen. Emphasis has been added by me at some points, and my annotations are added in italics. 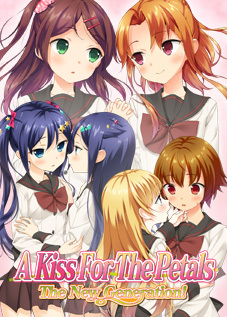 The new game, A Kiss For The Petals – From the Day We First Met is finally out today! * Please be aware, this article contains images not suitable for readers under the age of 18. Naturally the heroines are Ai and Aya, the twin couple from the St. Michael’s Annex♪ Although the twins may have gotten together in The New Generation, Ai gets jealous of Aya’s adoration of Rikka and Sayuki when they come to visit the annex, and goes into an all-out fit of rage! 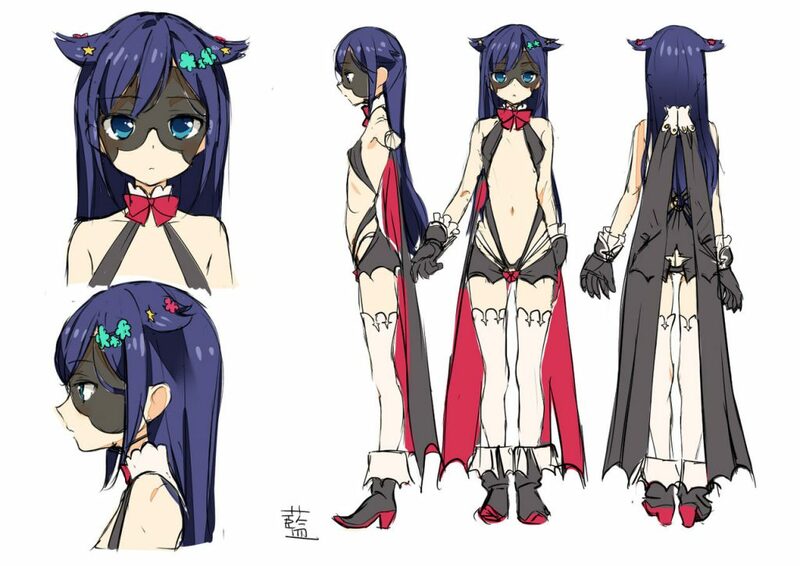 Also, this release will see the debut of this mysterious costume design of Ai’s! What the heck kind of costume is that…? And what’s going to happen?! You’ll find all that out in Revolution! AiAya, currently in production! Ashura is a cadre of Black Star, an evil group that opposes Magical Reo, and is known for her intense laugh befitting a lady of class. She operates in civilian settings as a student of a school for well-to-do ladies under the alias “Shura Ai”. It is likely that the appearance on AiAya will not resemble the above. The Revolution! 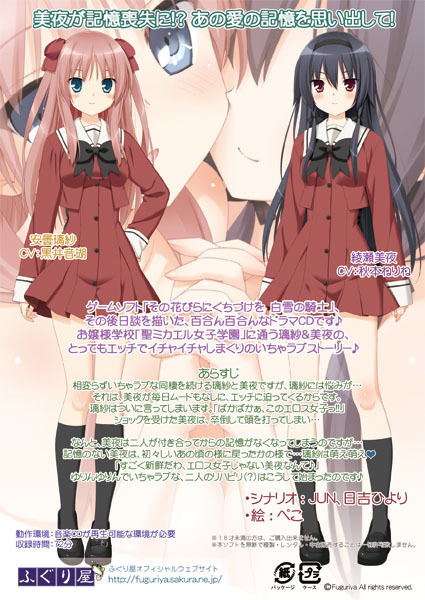 Prologue explores the premise of Ai’s disapproval of Aya’s admiration of Rikka and Sayuki in detail. 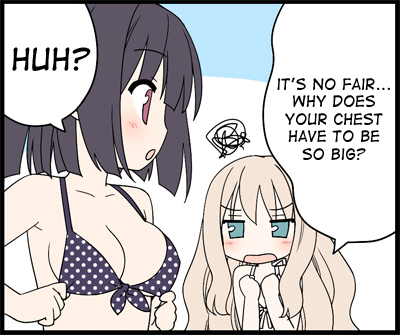 Chapter 3 is told from Aya’s point of view. I really want to play the Petals games, but I don’t actually have a computer. Oh yeah… People who use PCs at work or school everyday… but they only have smartphones at home…. I’ve been hearing more and more about people like that lately! That’s why one of the many projects currently in planning is… The Petals series smartphone edition project! 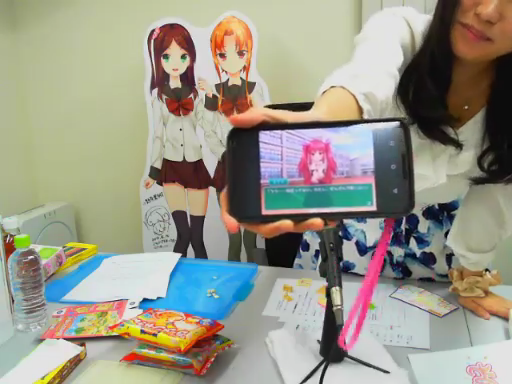 An Android version of the first visual novel was first shown on a Nicovideo live broadcast on 22 April 2016. This screenshot was taken by me during the broadcast, showing Tanaka Lili demonstrating the Android version. This post is the first official mention of that version since the broadcast. 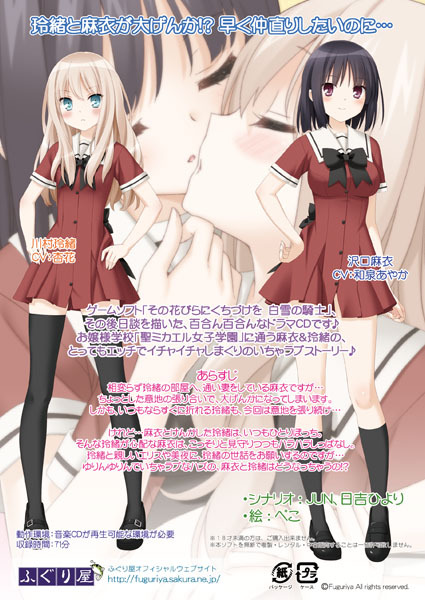 Right now, the first installment in the Petals series, Yuuna and Nanami’s A Kiss For The Petals is being serialized. Now I’m going to introduce you to each of the new characters, Kurara (眩蘭) and Noel (ノエル). It must be emphasized that these characters may not necessarily be a couple, and that they may not debut simultaneously, but rather in each of the two CG novels. At present, Hazuki and Manami are the only New Generation couple to not have a Revolution visual novel or drama CD to continue their story, so it is probable that Kurara and Noel will not have primary focus until afterward, similar to Maki, who debuted in Revolution! 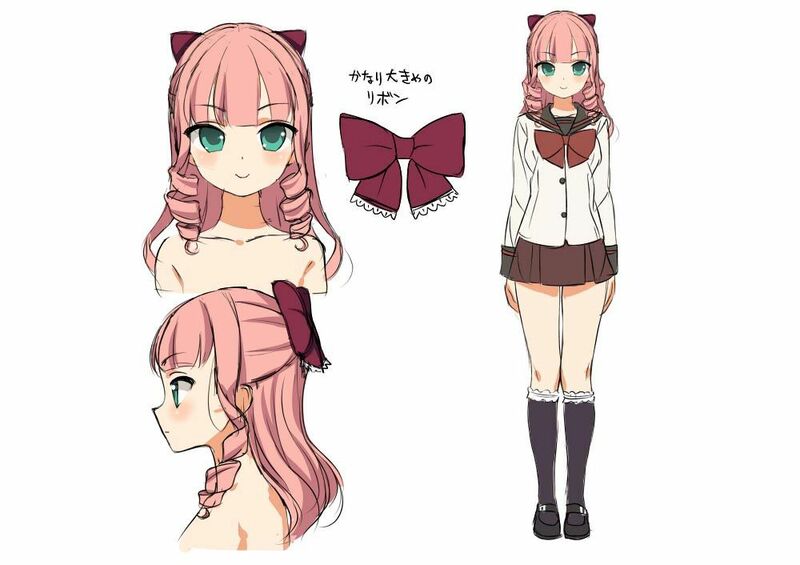 Rinagisa as a secondary character. 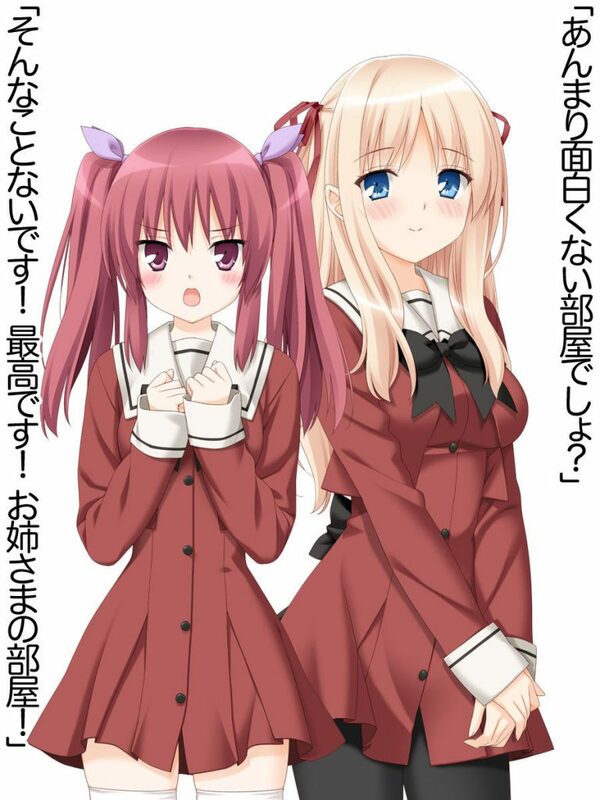 A drama CD, Remember Our Love Again, featuring Risa and Miya, the star couple in From the Day We First Met, which comes out today, was released by the doujin circle Fuguriya last week. A Kiss For The Petals series producer, Mi Kara Deta Saba. 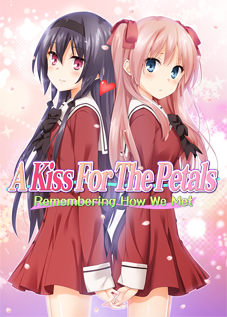 Product announcement for the drama CD A Kiss For The Petals – Remember Our Love Again (愛の記憶をもういちど Ai no Kioku wo Mou Ichido), translated by Ralen. Update 11 October 2016: Remember Our Love Again is now available on English DMM. Update 14 October 2016: Remember Our Love Again is now available on English DLSite. Samples are available on Booth and DMM. Miya has amnesia?! Bring back the memories of your love! 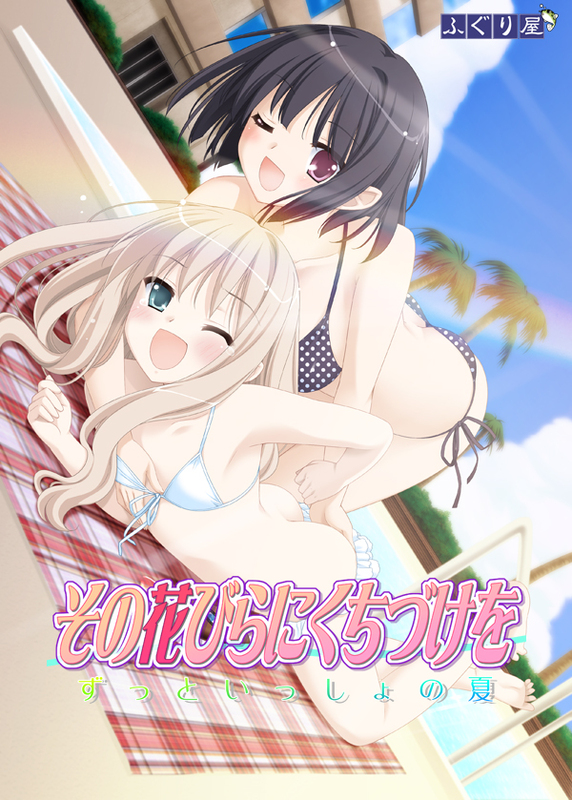 Fuguriya has re-released their third drama CD, A Kiss For The Petals – Eternal Summer With You (その花びらにくちづけを　ずっといっしょの夏 Sono Hanabira ni Kuchizuke wo – Zutto Issho no Natsu) in MP3 format. As noted in their tweets from December 2015, the first three drama CDs are no longer available in stores, so they are in the process of releasing all drama CDs through online doujin game outlets. The CD is available on the English versions of DLSite and DMM, as well as a sample containing the first two tracks. Both accept international credit cards. DLSite is recommended as it presents the price in US dollars and offers a reward program for frequent purchases. Ralen has translated the original information page for the drama CD below. Reo and Mai’s summer break. There has to be some way to teach her to swim… That was the moment Mai’s switch flipped and set her on the warpath. All that and more in this frisky Mai and Reo drama CD! The hot summer sun makes these two all the more daring!